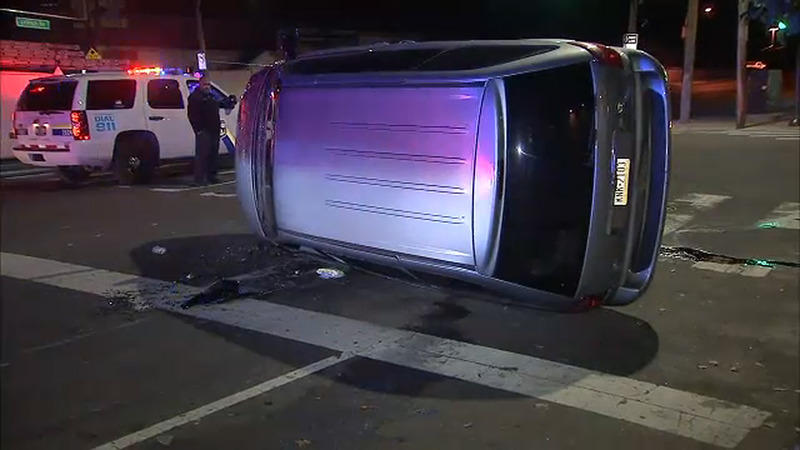 KENSINGTON (WPVI) -- A van flipped over after a crash in the Kensington section of Philadelphia. It happened before 4 a.m. Friday at Frankford and Lehigh. Police say the driver hit a parked car and the van overturned. There was no immediate word on the cause of the crash.